Emprise Services plc, leading support services provider, announces it has retained and expanded its contract with the Ambassador Theatre Group (ATG). Emprise has maintained a successful relationship with ATG for 11 years, providing cleaning services to 24 of the theatre company’s venues. Following a competitive tender process, Emprise has now been selected as the sole service provider for the entire ATG estate recently enlarged to 39 venues nationwide. Emprise was selected through competitive tender as the supplier of cleaning and associated services across ATG’s estate, a decision supported by the strength of the current service delivery and the long and productive relationship ATG has held with the support services company. ATG is confident that Emprise will deliver consistently high cleaning standards across each of its venues. 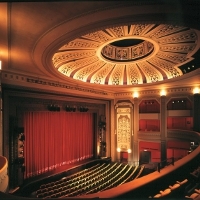 ATG’s impressive portfolio of West End theatres includes historic buildings such as the Apollo Victoria, Donmar Warehouse, Duke of York’s, Fortune, Harold Pinter, Lyceum, Phoenix, Piccadilly, Playhouse, Savoy, Trafalgar Studio 1 and Trafalgar Studio 2 and a number of regional theatres in major UK cities. Current and recent ATG co-productions include Ghost the Musical, South Pacific, Legally Blonde the Musical, Monty Python’s Spamalot, The Misanthrope, West Side Story, Elling, Guys and Dolls, Sweeney Todd, Company, Exit the King and The Rocky Horror Show.